This page facilitates the search for the international telephone code that is required. It is the perfect platform for international and international calls. Search for international prefixes by initial letter or through the menu above. Many people are constantly looking for telephone numbers from which they have received missed calls, or other types of calls, when they discover who these telephone numbers belong to, they point them on this web page so that other users can benefit from this information. We provide you with information to be able to call from abroad to Spain in a super economic way. It is very easy to save and no matter which company you have contracted, you only need a mobile or fixed telephone. How to block unwanted numbers on your mobile phone?? Is someone calling you from an unknown number and you're not sure you answer? Download our application and find out who it is. With our application you can report unwanted calls, you can also view ratings of other users on an unknown number. 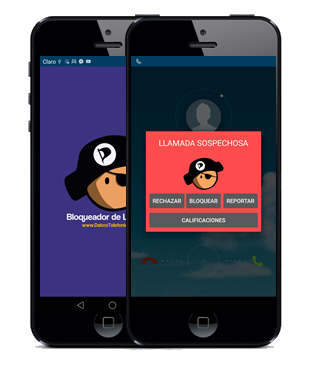 Install our free security application on your mobile phone and stop unwanted calls forever! It's free! called me - tried to call it back - absolutley nothing, no ringtone or anything.... odd!!! Received the exact same photo of the exact same person and the same details. Sent to different area codes in FL. Ini nombor memang scammer.. buktinya dia da ambil duit dlm bank akaun sya nasib baik tak jadi sy bank in duit pagi tadi.. duit dlm akaun hnya tgglkn 30 rggit ja, scmmer kta dri takaful la dn sbgainya.. sy mula2 trust la ngam scmmer ni.. mmg x terlintas pun dlm fikirn yg diorang ni mmg scmmer..scmmer ni mgaku klu dia dri pegawai dri maybank .. pa yg diorng minta.. cukup dgan ic nombor blkng je (musthil pihak maybank minta dn musthil mereka tak tahu) dh blh ambil duit.. hebat ya.... cra diorng ni memaksa dh berkli2 ckap tak nak.. skli dh bgi.. skli buka ja maybnk2u dh hilng 20.. byngkn klu duit byk .. fuuhh mmg hbis kena kbas... Slpas tu cll maybank branch mnta kpastian.. phak maybnk kata.. tak de agent dri maybank call sya tuk register takaful ni.. dn biasa kna dtng face to face tuk turunkn tandatangan klu nk apply insurance.. Then cepat² la sy minta maybank secure bank sy ni.. lpas ni mcm takut pula sya nak bankin duit dgan maybank ni..? So.. pngjarannya berhati² la yee number ni.. sya dh kena dn harap tdak ada yg terkena lpas ni..